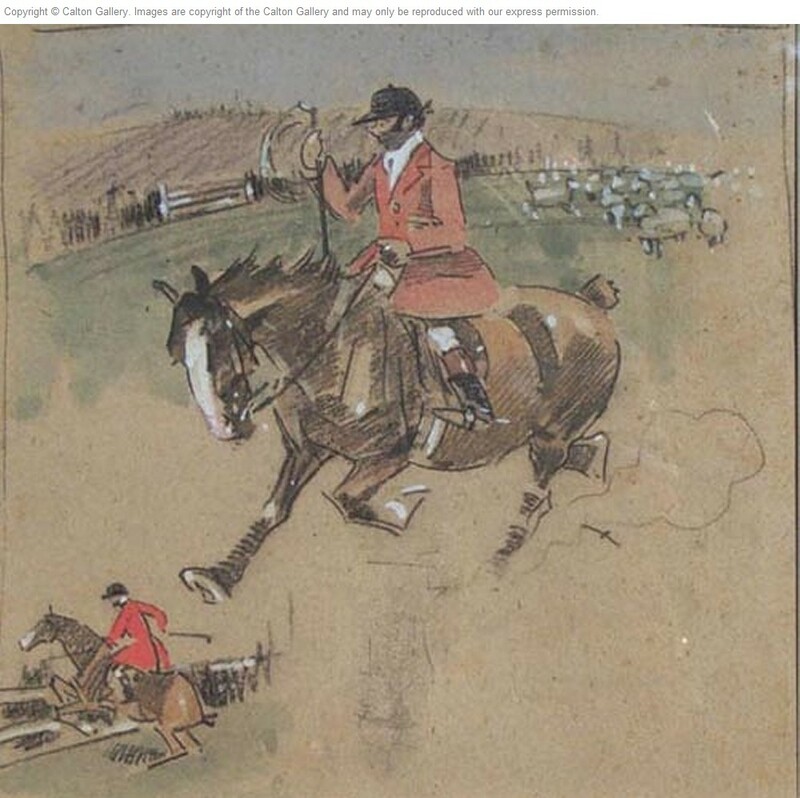 Illustrated: "Bridle & Brush" by George Denholm Armour, Chap V, p. 105. 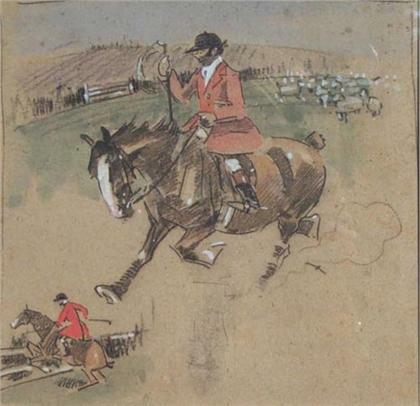 Crawhall gave this watercolour to his hunting and racing companion, George Denholm Armour. They ran a small stud together for two years, at a farmhouse in Hertfordshire, until Armour married in 1898. Crawhall was best man to Armour.